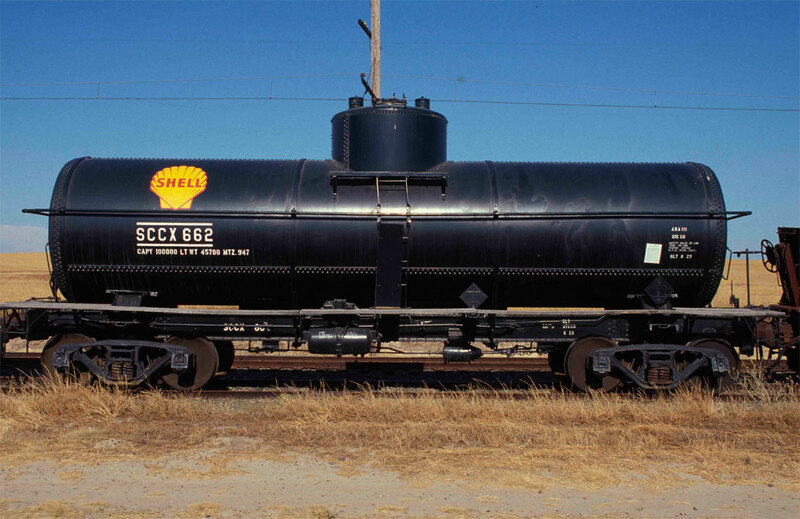 SCCX 662 is a rived steel tank car. The tank holds 10,098 gallons and is an ARA type III. The Standard Tank Car Company of Masury, Ohio, built this car in 1923. It was built for the Shell Company of California, which was has its headquarters in Martinez, California. The car was built to haul petroleum products. 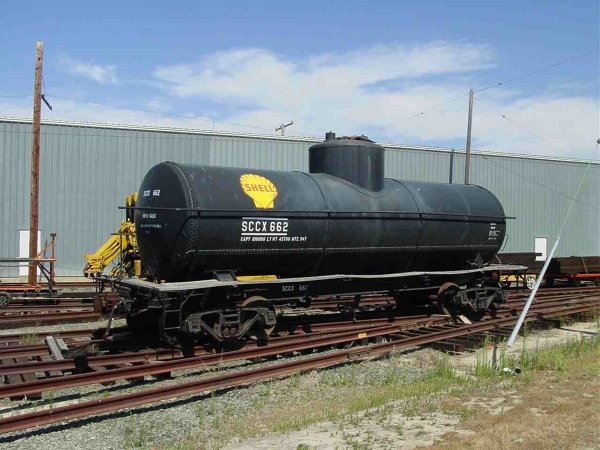 Technical Data: Type, tank car. Builder and date, Standard Tank Car Company built 1923. Class. Underframe, steel. Lightweight. Capacity, 10,098 gallons. Air Brake Equipment: Air brake system. Brake cylinder. Hand brake, vertical staff. Current Condition: Complete and in excellent condition. Proposed Future Treatment: Maintain in current condition. Repaint with proper historic paint scheme.